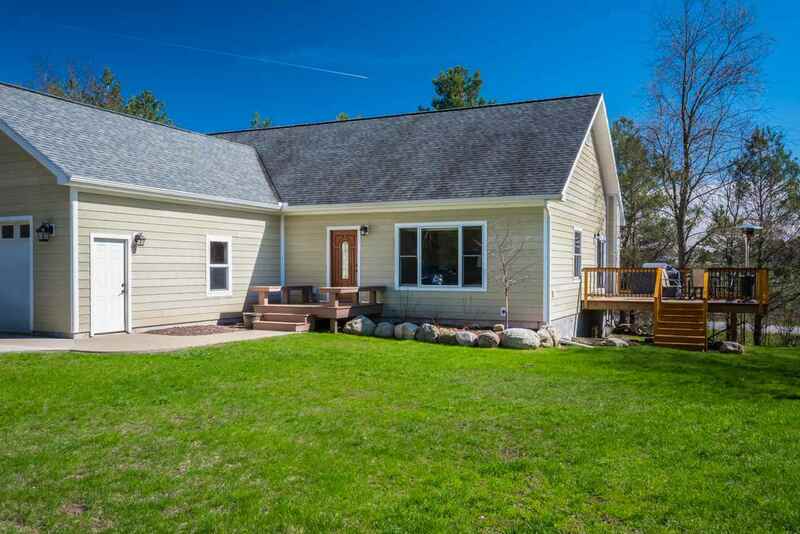 Enjoy the convenience of main floor living in this newer stick built home. Features a spacious open kitchen and dining combination, main floor bedrooms, and a finished lower level with egress windows for a possible 5th bedroom. Quality construction including cement board siding, cedar deck and exterior trim, custom interior trim work, and in-floor heat in the kitchen and dining rooms. Wooded setting, fire pit area, and a nice lawn. This a great location in a newer development and only several miles south of town..